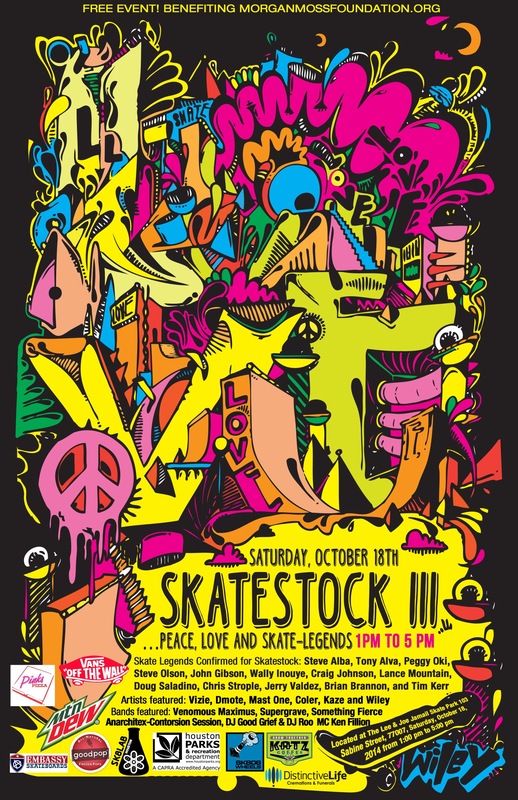 Skatestock III will be a Celebration of Skateboarding’s Legends, Live Music, and Art. This event connects the dots between Skateboarding; Surfing; Art; Music & Science…. Skateboarders Past and Present. Skatestock is a grass-roots effort to raise funds and awareness for the http://www.morganmossfoundation.org. 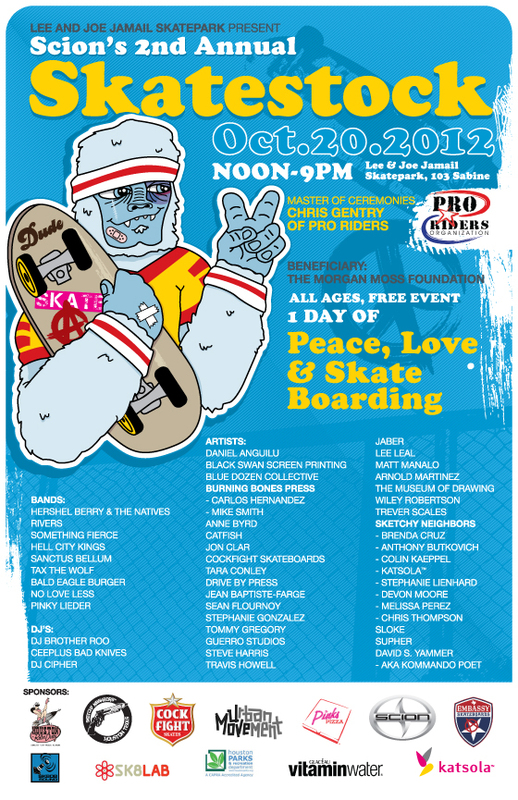 Skatestock is FREE! It is Not a competition or a demonstration. 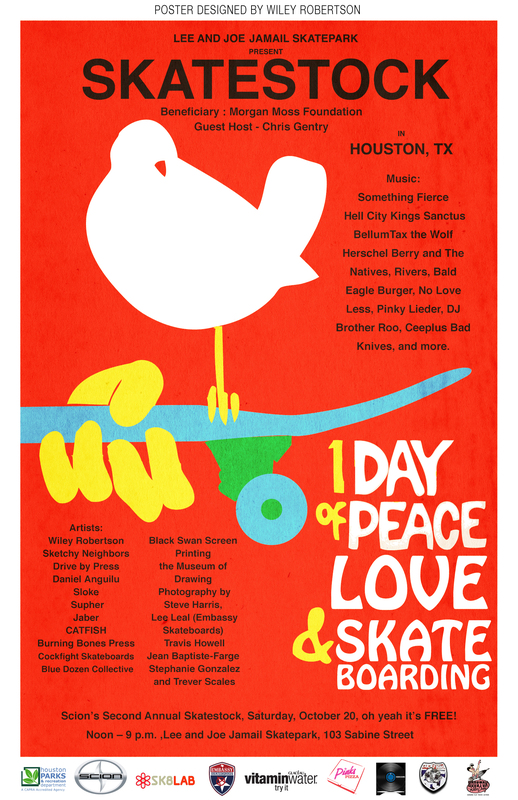 It is a Skate Session; a chance to Meet and Greet the Legends; an Art Show; a Concert; and above all else a chance to Skate, Rock and Honor! These icons of skateboarding discovered/created what we now refer to as pool/bowl skateboarding. Moreover, the aerial tricks employed in the 2014 Austin X Games, and the 2014 Sochi Olympic Snowboard 1/2 pipe Competition, are based on the maneuvers these men pioneered. The design and construction of the Lee and Joe Jamail Skatepark and our newest park, Spring/Houston were heavily influenced by their Skate-Styles and Skatepark Design Ideas. Moreover, American culture and music of American Punk Rock were heavily influenced and altered by these visionaries. These legends were the First “Skate-Punks” in America! In Texas we would not have the Big Boys music or the popular Austin music festival, Fun Fun Fun they inspired. Adrian Lenardic, Ph.D., Physics will be conducting unique experiments on skater-velocity and G-force readings. If you are passionate about bowl skating you are also interested in skater-physics. 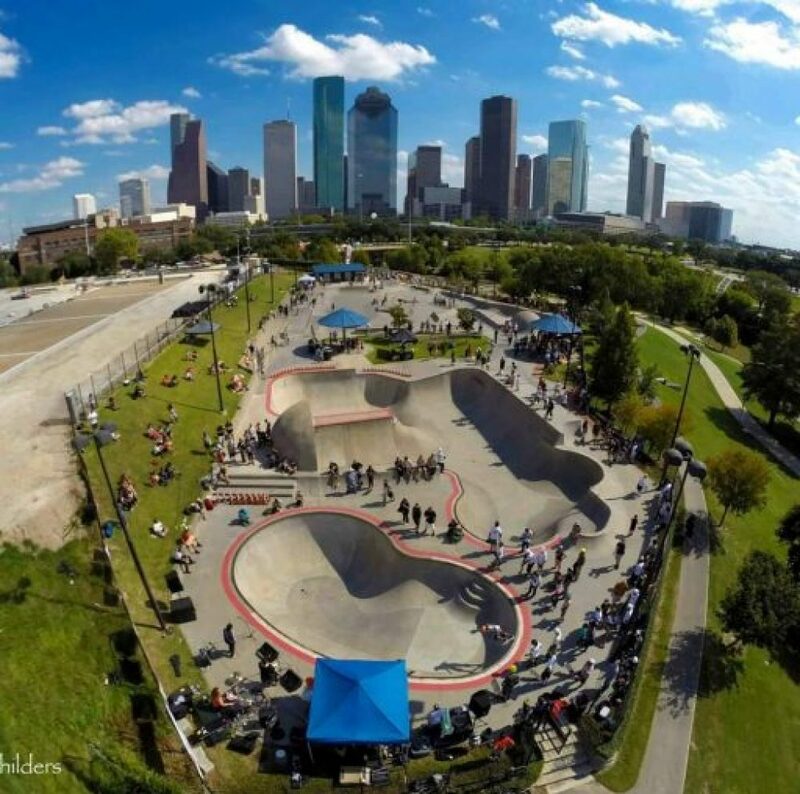 Welcome to Sk8lab Houston! Skate Legends Confirmed for Skatestock: Steve Alba; Tony Alva; John Gibson; Wally Inouye; Craig Johnson; Lance Mountain; Peggy Oki; Steve Olson; Doug Saladino; Chris Strople; Jerry Valdez; Brian Brannon (Skate-Rock Legend); Tim Kerr (Skate-Rock Legend). Brand New Flyer-Art from Katsola and the Sketchy Neighbors! The list of local artists continues to grow.